Das Landhaus Guest Lodge is based in the quiet Northern suburbs of Johannesburg, South Africa. 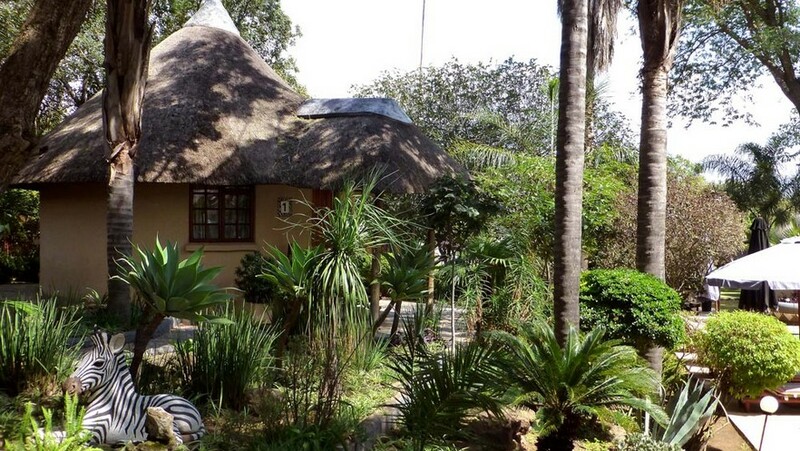 This beautiful German-owned African styled lodge has been a home away from home for many happy visitors. With more than 24 cosy chalets and a wide selection of single, double and luxury suites, you are sure to find something that suits your needs. All chalet have a unique African look, giving you a unique African experience. Our Rooms: Das Landhaus luxury rooms are fit for kings and queens. Each room is designed with its own unique theme and feel. Our thatched huts are rural African style with comfortable and modern luxury. Only original African fabrics and patterns are used to give you a wonderful South African culture experience. Das Landhaus Guest Lodge offers a full breakfast buffet as well as lunch and dinner if requested. Our portions are generous and our kitchen staff are experts in the field of African flavours. There are also outdoor cooking (Barbeque) facilities available if guests wish to try their skills at South Africa’s favourite past-time “The Braai”.